M.A., M. Phil, Ph.D (Edu). Education and social change among the tribal communities, Culture, identity and development in North East, Sociology of knowledge/education, Education for peace, and teacher education. Mr. Tasongwi Newmei passed the HSCL examination from Don Bosco, Tamenglong with first division. He obtained his P.U. 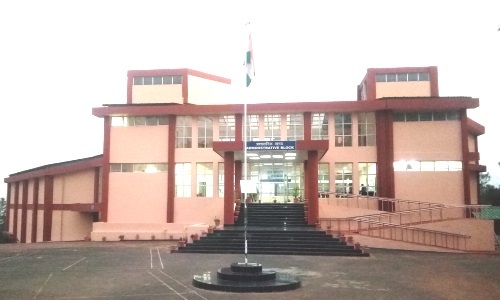 (Arts) degree from St. Anthony’s College, Shillong; B.A. degree from St. Edmund’s College, Shillong; and M.A. and M.Phil degrees from Jawaharlal Nehru University (JNU), New Delhi with first divisions and first class grades. His academic achievements include the Mother Alvin CMC Memorial Award for securing the highest marks from Don Bosco School, Tamenglong in the HSLC examination, Certificate of Merit awarded for securing rank No. 1 in B.A. (Sociology) examination conducted by NEHU in 2000. Newmei was also selected for the UGC DSA National Scholarship while pursuing M.A. at JNU, New Delhi and qualified for Junior Research Fellowship (JRF) in 2002 examination conducted by the University Grants Commission (UGC). He joined the institute on 21st March, 2006 and since then he has been actively involved in the activities of the institute in various capacities and mainly by acting as resource person in various programmes and by conducting research and training programmes.